You don't have to earn megabucks or have a degree in economics to make the most of your money. With the help of Money Makeover, you'll discover how easy it is to take stock of your finances and create the life of your dreams, without having to give up red wine or wade through finance mumbo-jumbo! Inside this book you'll find practical information (without the boring bits) and inspiring real-life stories that will empower you to create your own financial plan. easy ways to factor in life's little curve balls -- relationships, bambinos and career changes. 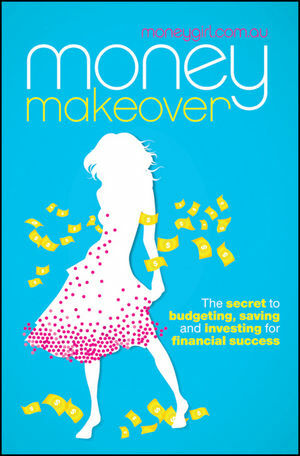 Money Makeover is for women of all ages wanting to take control of their financial destiny and make their money grow. Authors Vanessa Rowsthorn and Nina Dubecki are passionate about inspiring women to get smart about their money. In 2009 they launched the popular website moneygirl.com.au and are regular columnists in the Herald Sun. Find out what people are saying about Moneygirl. Part I Getting it together. 2 Getting out of debt and to ground zero. 3 Moving forward -- saving is a girl's best friend. Part II Choose your own adventure. Part III Extra, extra, read all about it. 12 What life throws at you. Part IV The secret to financial success.